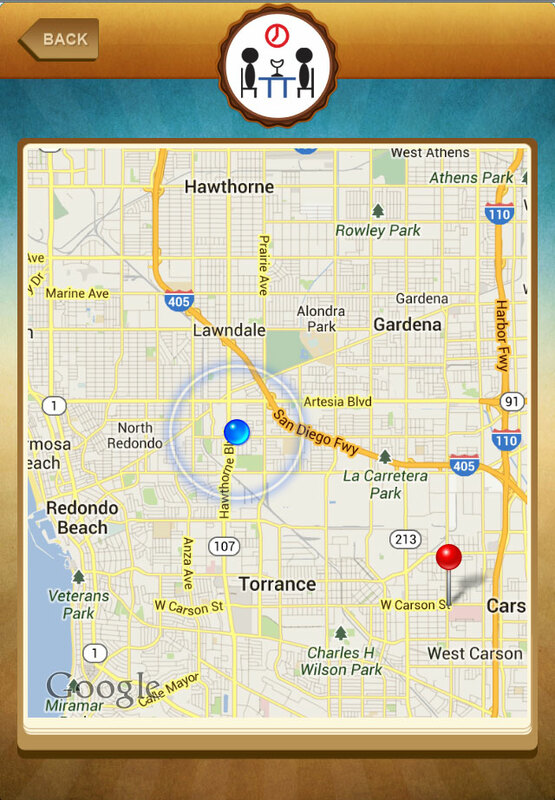 Got Table is the only app that offers true Real Timetable reservation that is GPS Driven! 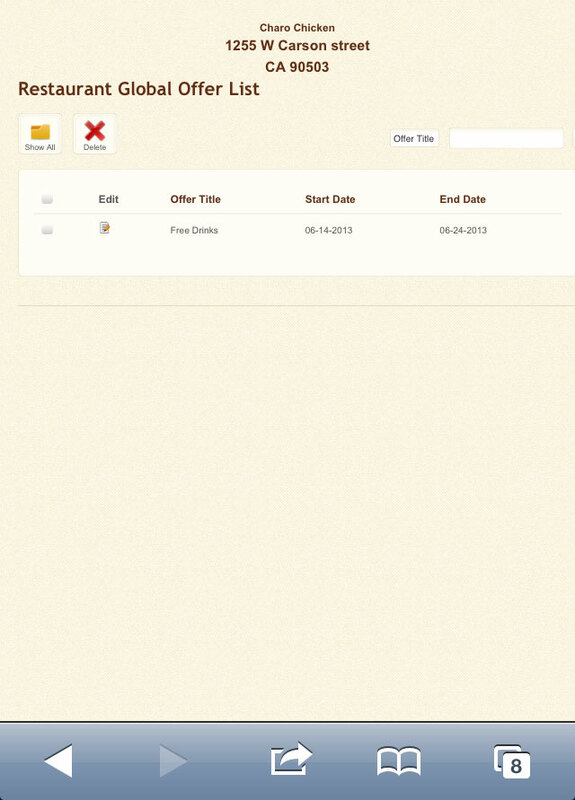 Our innovative "Search by Offer" feature allow owners to create instant offers and post instantly for customers to see! (no delay!) Getting diners in the door has never been faster & easier! 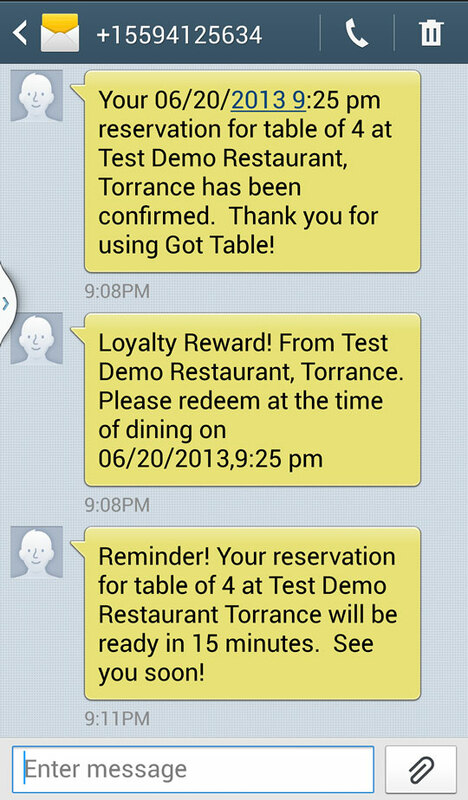 Real time instant confirmation of your table reservation via SMS text message. Courtesy reminder alert will be sent via SMS text messaging 15 minutes prior to your seating time! loyal customer? You will be notified for your reward too! Got Table has a built-in email retention system. Everytime your customer books a reservation, you get to keep their email address! Use the email to continue your marketing efforts without paying a third party to do the job! Cost effective and confidential! Set up your day by allocating "X" number of tables available for reservation! You have total control over the situation! 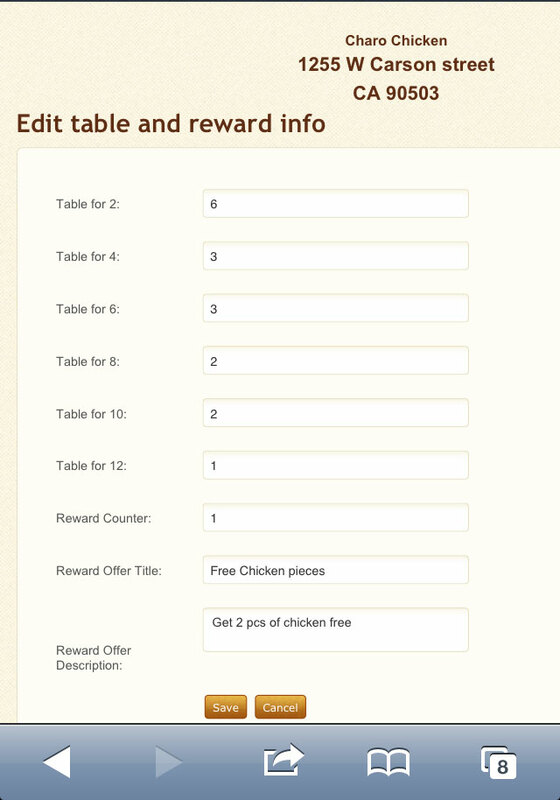 Built-in reward counter created as a convenient feature to replace costly loyalty cards. 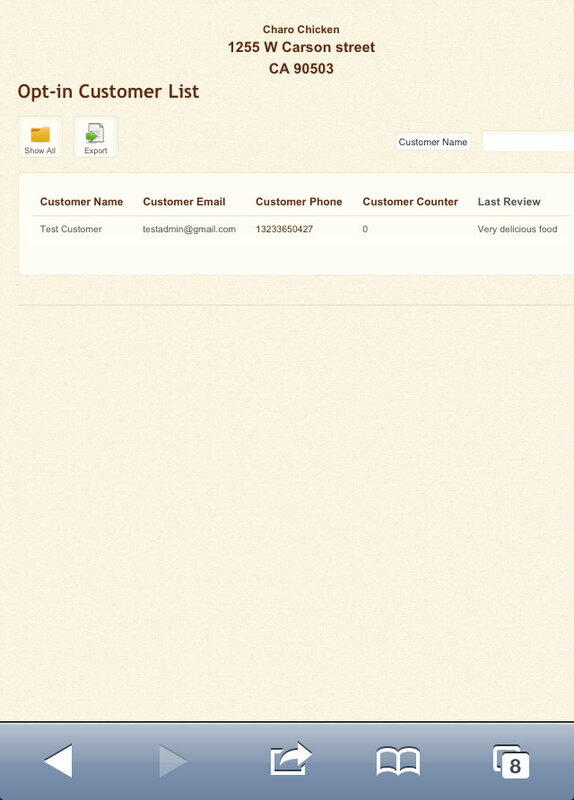 Track your loyal customers via automation! Never miss a beat! Updating your new specials? Drive Traffic to your restaurant? You can do it instantly with Got Table App! (Real Time) 3 easy steps! Proprietary Patent Pending design offered only on Got Table! 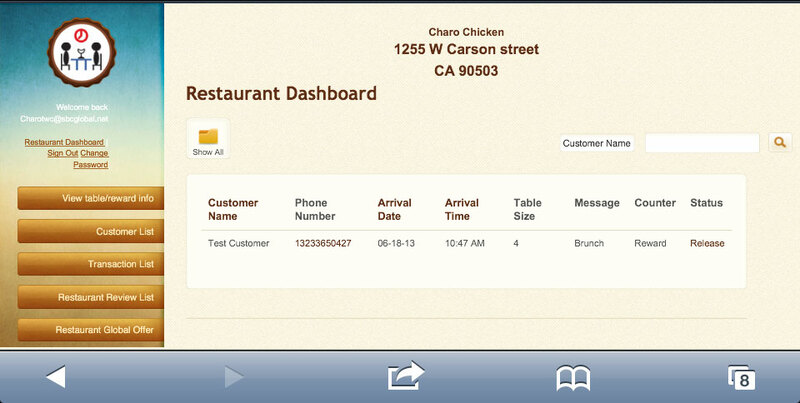 Easy to navigate control dashboard allow you to hold or release tables depending on the situation. 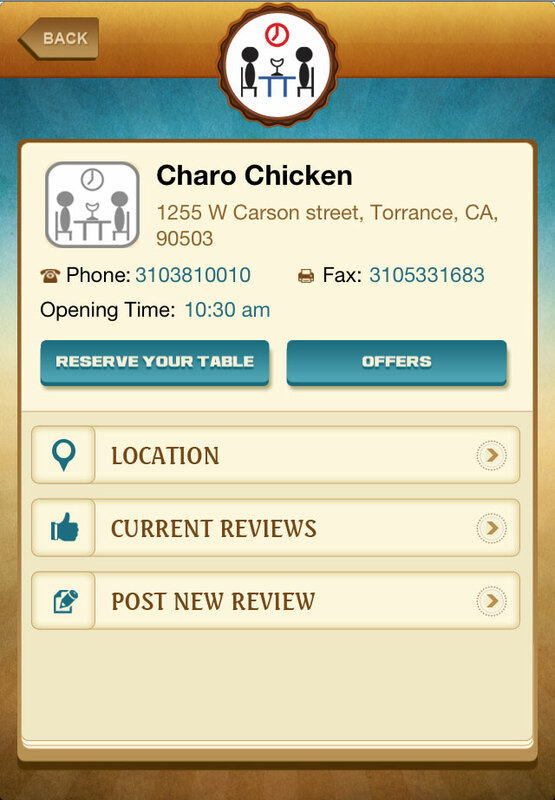 You have total control over the availability of your tables at your restaurant! Here is the screen shot of the Restaurant Dashboard with URL displayed on the address bar as well shows the reservation on the queue and all the features available to manage.